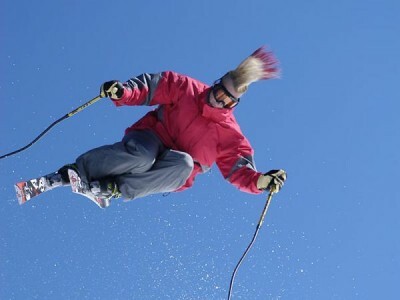 Bob Ward’s and Discovery Ski Area announce “An Afternoon with Glen Plake and Elan Skis”. Discovery Ski Area is the place to be coming this January 14th and EVERYONE is invited! Some special attendees from Bob Ward & Sons to Elan Skis are hosting an afternoon of skiing with renowned pro skier Glen Plake. He is known as the “original” freeskier, famous for his “trademark” Mohawk and of course his infectious free spirit. The sport of skiing has been impacted tremendously by Glen. He joined Elan’s elite ‘Team Green’ which serves to spread the Elan awareness while making the rest of us green with envy at their on-hill abilities. You will have the opportunity to try out Elan skis for free, courtesy of Bob Ward’s and Elan Skis.